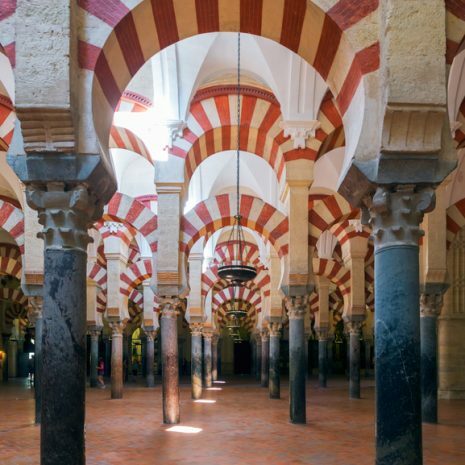 Be captivated by the beauty, charm and Moorish architecture of Andalucía on this escorted adventure led by writer and former Spanish resident Dr. John Newton. 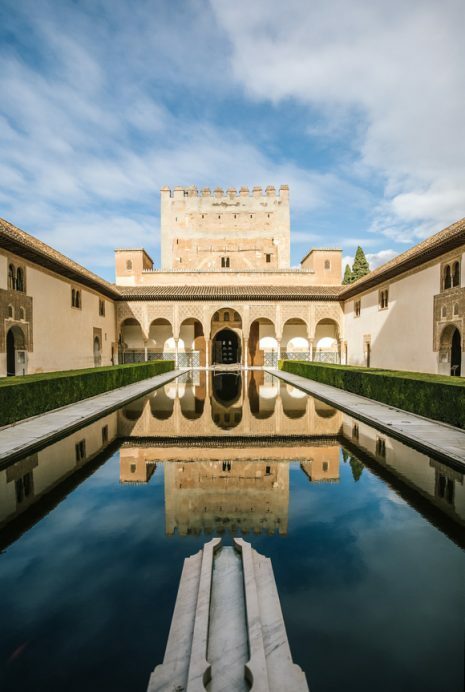 Andalucía, or El Andalus as it was known to the Moors, was shaped by 700 years of Muslim rule during the middle ages, a heritage still evident today in Spanish architecture, cuisine, philosophy and science. We will explore that history and the Moorish presence in Spain from the 8th Century when, under the rule of the Umayyad dynasty, Cordóba was the most powerful and accomplished city in Medieval Europe to the last days of Moorish rule in Granada in the 15th Century. Along the way we will visit out of the way towns and villages (including the only Jewish town in Moorish Spain) and explore the Islamic, Jewish and Christian legacy of that time in such world heritage buildings as the church of San Simón in Toledo, the Alhambra in Granada, the Mesquita and the Madinat al-Zahra in Córdoba. 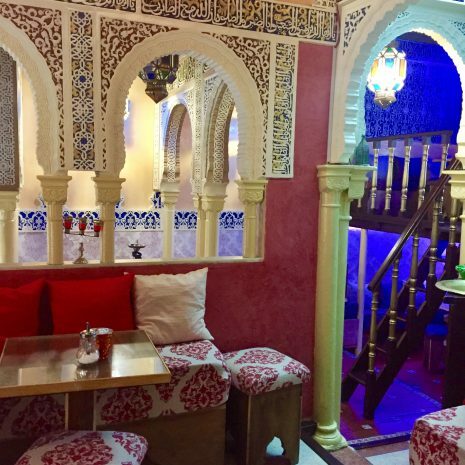 The food chosen for this tour will explore Moorish, Sephardic Jewish and Spanish culinary traditions. There will also be a tasting of the wines of the little known region of Montilla-Moriles where winemaking practices date back to the 8th Century. And there’ll be plenty of time for shopping for chic Spanish fashions, local artefacts and hunt for tapas. History, food, wine. What is not to love? Our Australian guide is Dr John Newton, a writer and former Spanish resident. 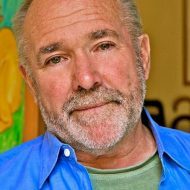 John has written and edited four books on Spanish cuisine, written extensively on his experiences in Spain (see his blog newtonwrites.com) and is a long time student of the Moorish period of Spanish history. John will be joined by expert local guides, only too ready to share their secret photography spots and insider knowledge of the culture and community. DAY 1 Arrive, overnight Madrid. Welcome drink, dinner and group briefing. DAY 2 & 3 Travel to Toledo. See El Transit Synagogue, San Román Church and other architectural examples of unique cultural synergy between Muslims, Jews and Christians. Visit El Greco's House and Museum. Day 4 Travel to Córdoba. Upon arrival visit the Mesquita, an immense mosque and enjoy a walking tour of the Jewish Quarter. Day 5 Day excursion to Madinat-al-Zahra, the ruins of an immense fortified palace-city. After lunch visit Castillo de Almodovar del Río, a Berber castle. Day 6 Travel to Montilla-Morilles and enjoy wine tasting in a local bodegas. Travel to nearby Lucena where you will visit the Arqueológico y Etnológico to learn more about this town's unique history as the only completley Jewish town in Moorish times. Day 7 Travel to Úbeda via Alcaudete and Alcalá La Real to learn more of the interaction of Moor and Christian architecture, history and culture. Day 8 Morning tour of Úbeda where you see some of the finest Renaissance architecture in the world. Afternoon at leisure. Day 9 Travel to Granada. On arrival enjoy a walking tour of the Moorish Quarter followed by a tour of other key architectural sites and gardens. Day 10 Day excursion to Las Alpujarras where the lingering Moorish influence can still be seen in local villages architecture, artisan crafts and its Sufi community. Day 11 Visit the Alhambra, an imposing Moorish palace and fortress. Your afternoon is spent at Carmen de los Martires. Farewell dinner. Day 12 Breakfast and then depart to the train station or your next destination. Sign up to our newsletter and treat yourself to a mini virtual getaway, loads of inspiration and TYW hottest travel tips delivered straight to your inbox every month.